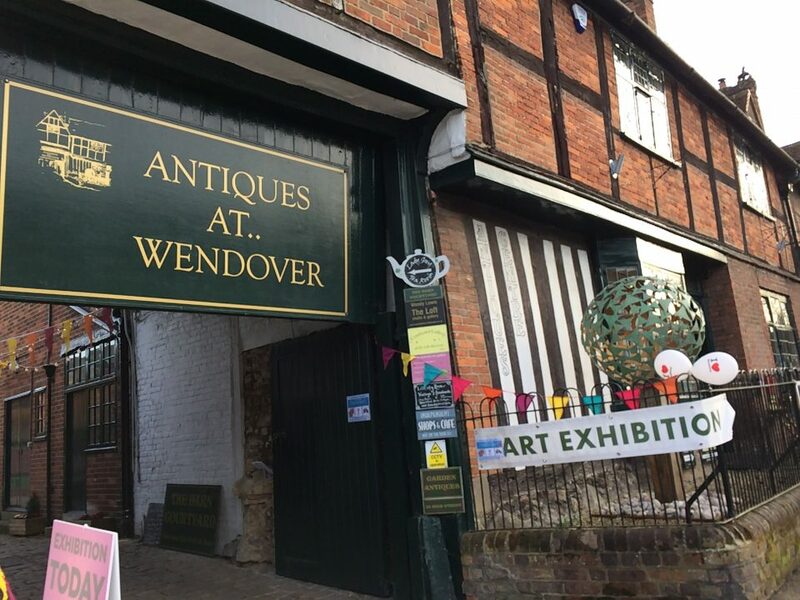 If you happen to be in Buckinghamshire for antiquing, please do stop over at Wendover. 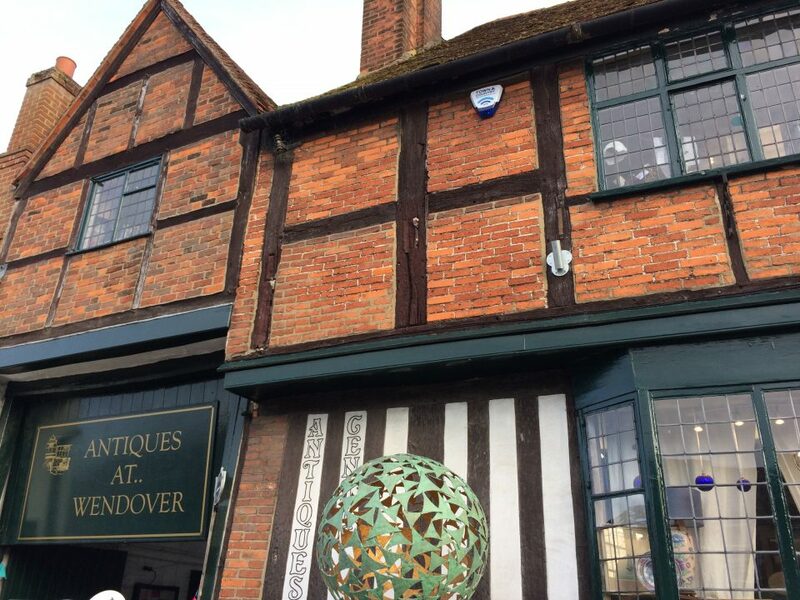 There is a fascinating antique centre called ‘Antiques at.. Wendover’ where you can have a wonder around a large antique centre for a buy or two. 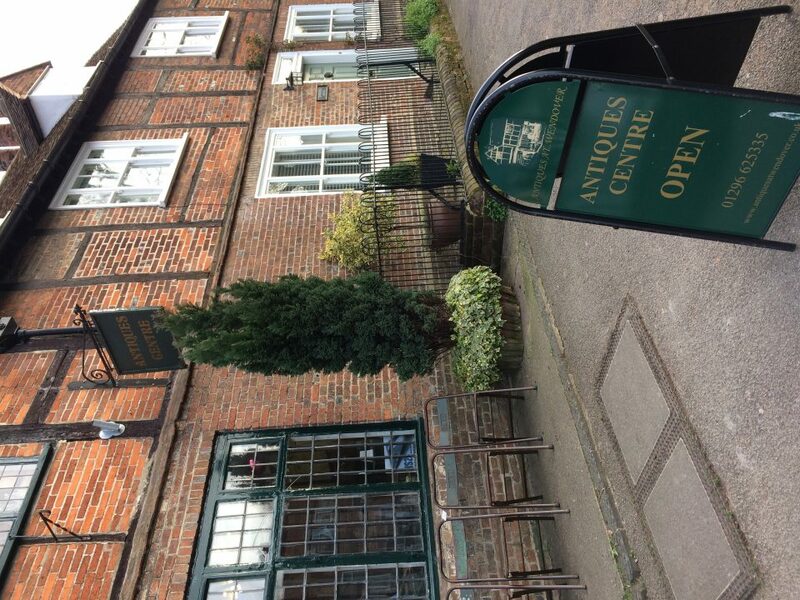 It is quite a spacious centre, with three (or four?) floors (I forgot the counting as I remember there was a basement floor!). 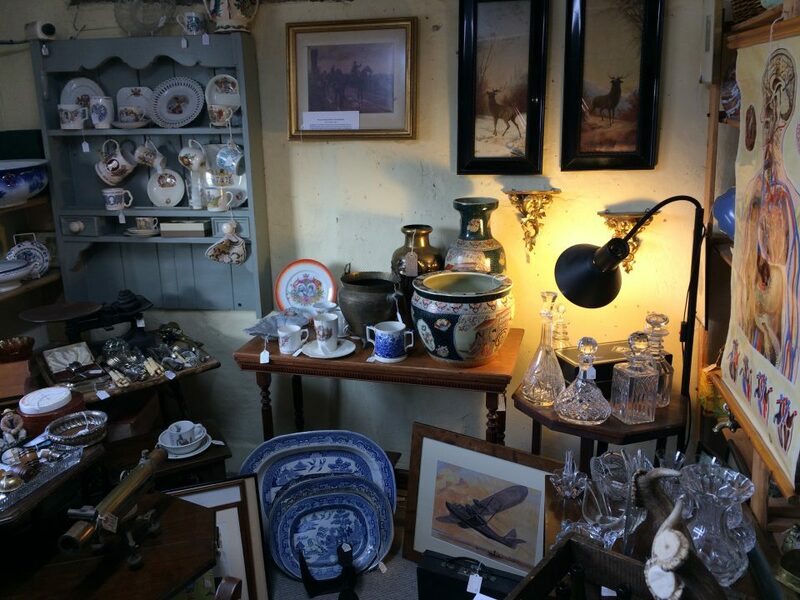 There are many dealers under one roof, so a great selection of antiques. 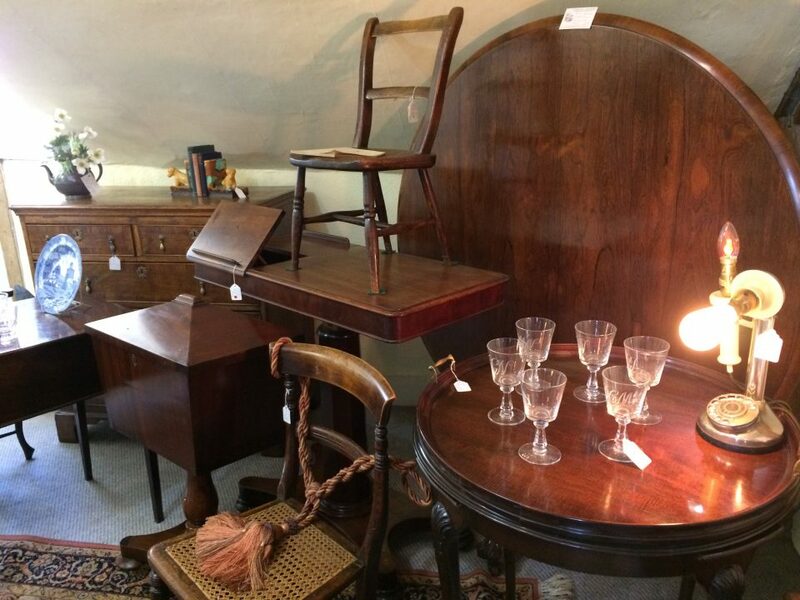 Various type of antiques just from one dealer! 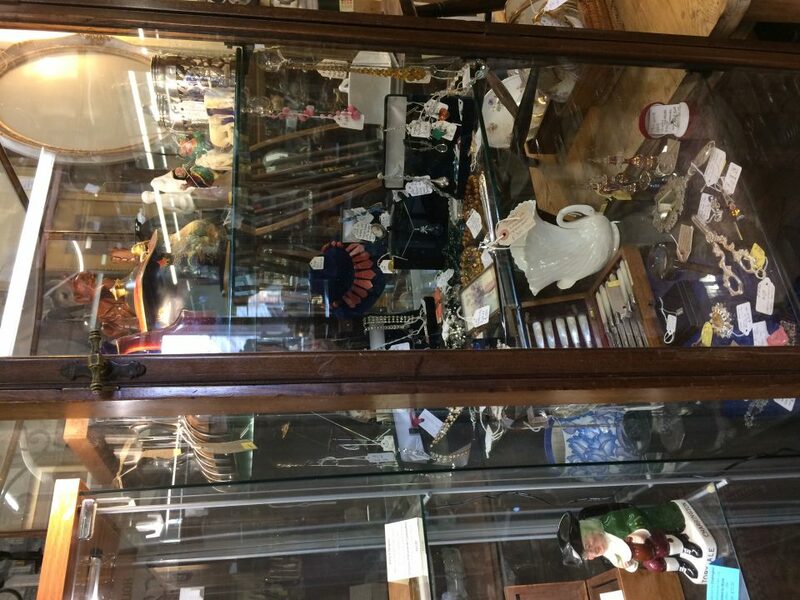 More glass cabinets to look for! 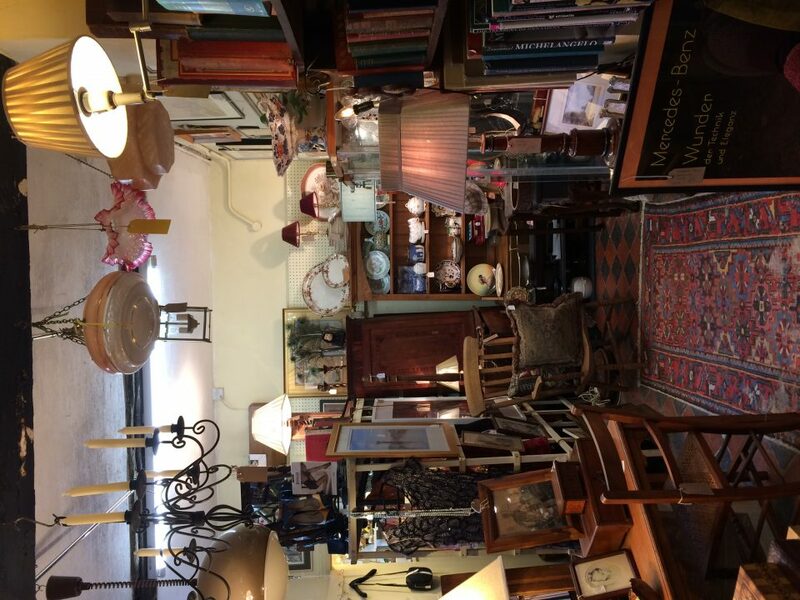 It could take some time to look through all cabinets! 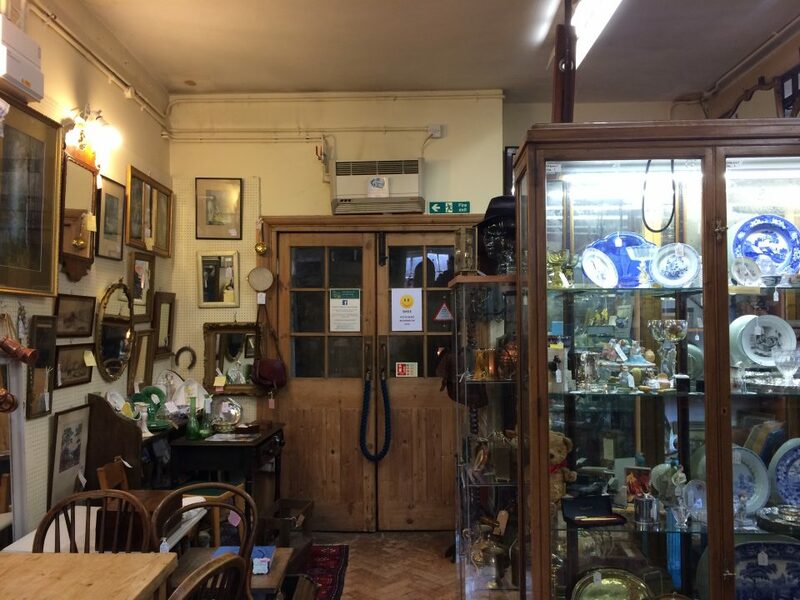 There are really a wide range of antiques here. I myself discover a lovely piece of Edwardian children book with a reasonable price! 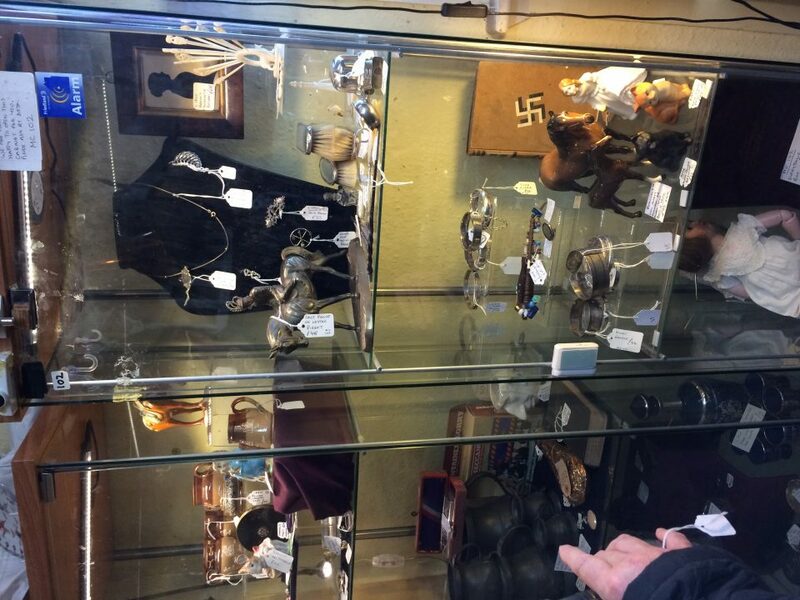 I think there is something for everyone in this antique centre. 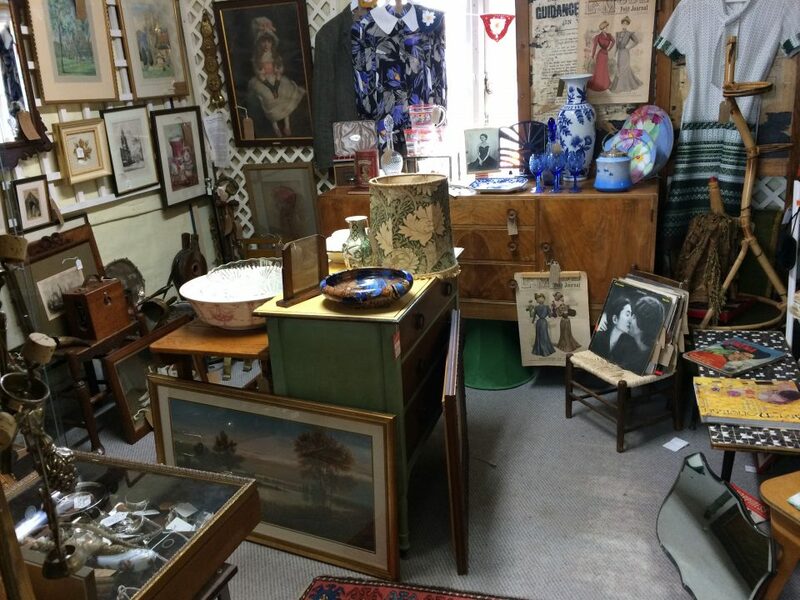 Oh yes there are also vintage and retro items at Antiques at Wendover. My husband got a pair of Royal Doulton Toby jug. Also painting, prints, and silver! 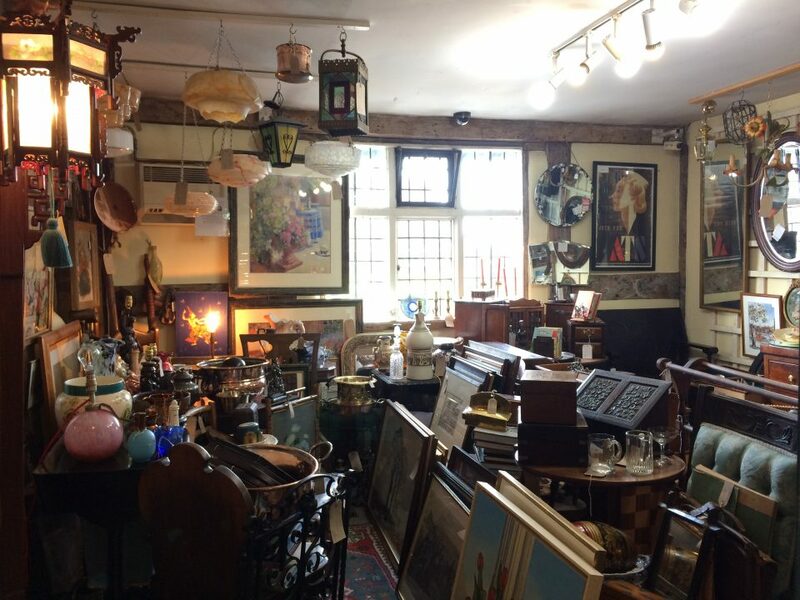 The building is also an antique, there is a marvellous fireplace on the ground floor! 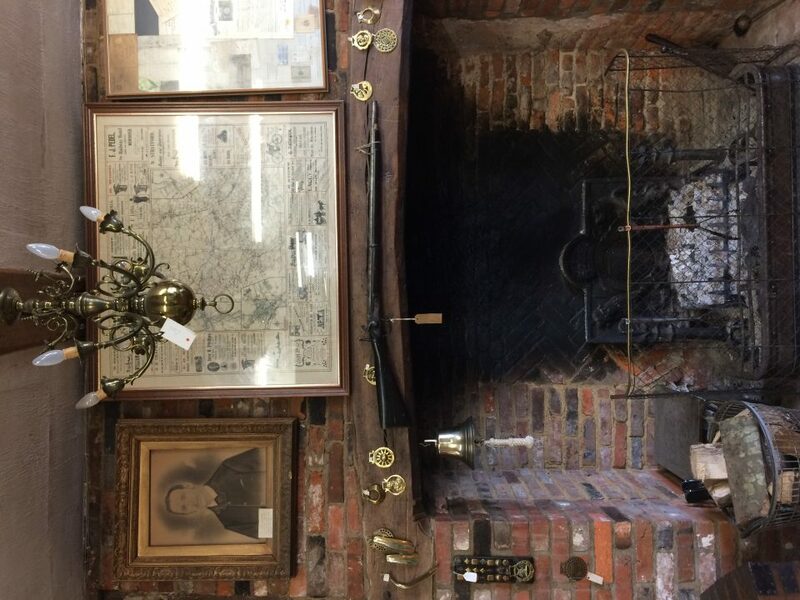 A marvellous fireplace at Antiques at Wendover! 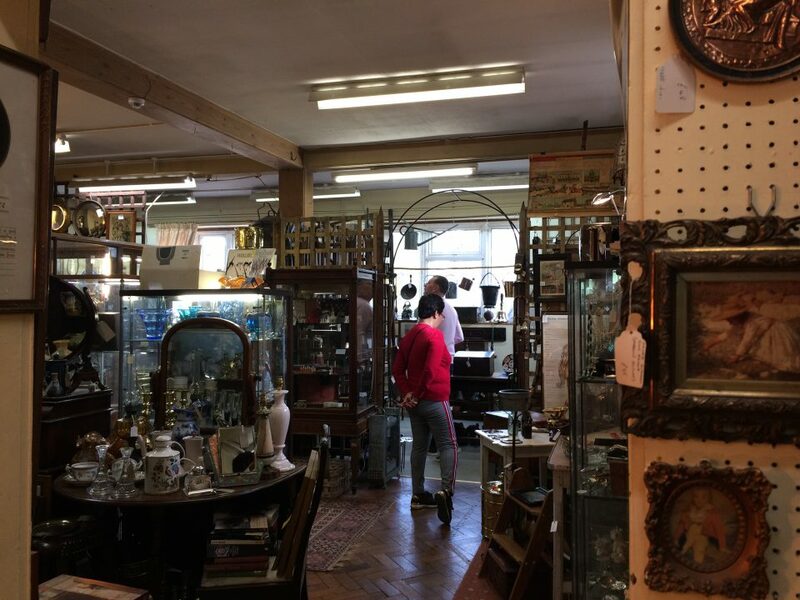 My husband really loves this antique centre, and if you are happening to be in a neighboorhood, don’t forget to pop into Antiques at Wendover!